Video : Colour with ‘U’ – No lines again! This time it’s ‘No Lines’ and Prismacolor Pencils, and a very clean and simple sympathy card (for the stash). Can you believe that I’d forgot the goodness of twine, it so makes me happy. I filmed today so you can watch the process. Other Supplies: Cardstock – Recycled. Copic Multiliner – 0.1mm. Prismacolor Pencils – White, Black, Eggshell, French Grey 50,70%, Warm Grey 20%, Goldenrod, Sand, Moss Green, Dark Brown, Light Umber, Putty Beige, Espresso. Twine. Next > Video : Freckled Fawn ‘Carnival’ Kit June 2015! 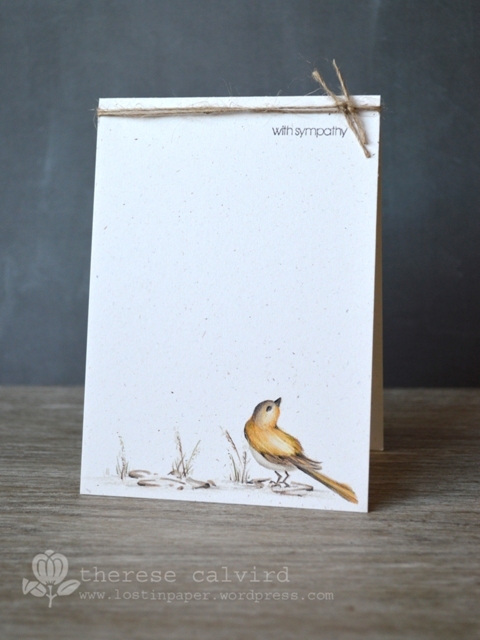 Look at this gorgeous sympathy card Therese has made with Penny Black stamps…no line, at that! 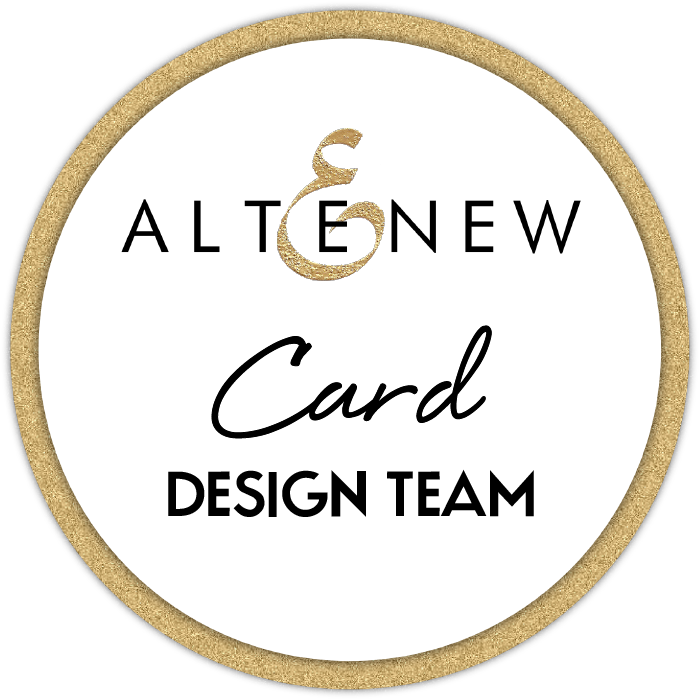 thanks for the great tutorial and for sharing your pretty card! 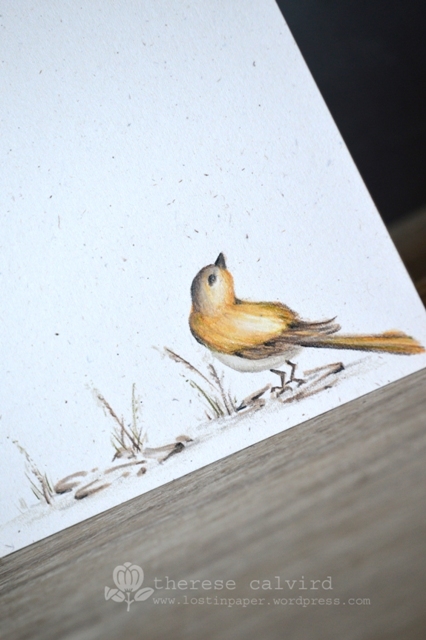 Wow, thanks to you I have made several cards using your shading technique. Now I SEE another wonder way to use color pencils … I must make myself realize I can stamp and not use black. Amazing. A truly beautiful quiet and subtle card. Thank you. He looks so real Therese – great colouring, loved seeing the process. What a lovely sympathy card – just perfect!! I really love how this card turned out, Therese! I need to look through my bird images now to see how they would look with this technique…Thanks so much for sharing it with us! wow Therese, this is beyond stunning and I could watch you color for hours. It is just amazing how you made that little bird and scene come alive. beautifully done. This little bird is gorgeous, Therese and you’ve just introduced me to another new Memento color, thank you! I’d love to know more about the re-cycled paper one day? Ohh Therese such a beautiful card. The bird and ground area just perfect, the whole look wonderful. Love it. And of course your colouring wow. That was so helpful, Therese! I never know what to do with the really detailed, sketchy stamps so I just avoid them. The way you used the no-line technique is beautiful! Such a gorgeous card! I love how you brought the scene to life with your coloring, Therese! Amaaazing! WOW totally gorgeous.. awesome coloring. Stunning! Your colouring is just perfect!